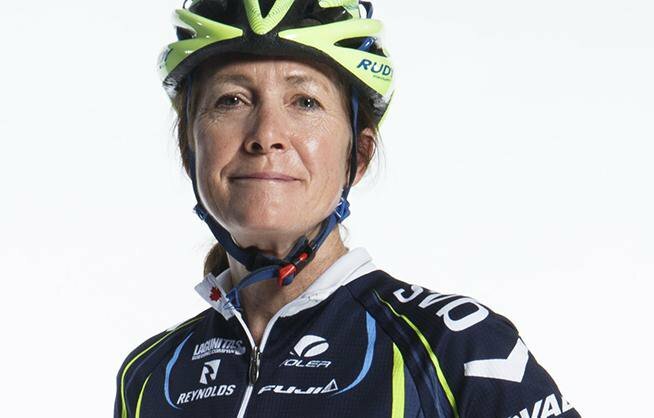 On Sunday, September 30th, at Glencairn Golf Club in Milton, Ontario, Linda Jackson will be inducted to the Canadian Cycling Hall of Fame. Jackson was a three-time Canadian road race and time trial champion, competed for Canada at the Olympics and was third in World Championships in 1996, and in 1998 was second in the Giro d’Italia Femminile. 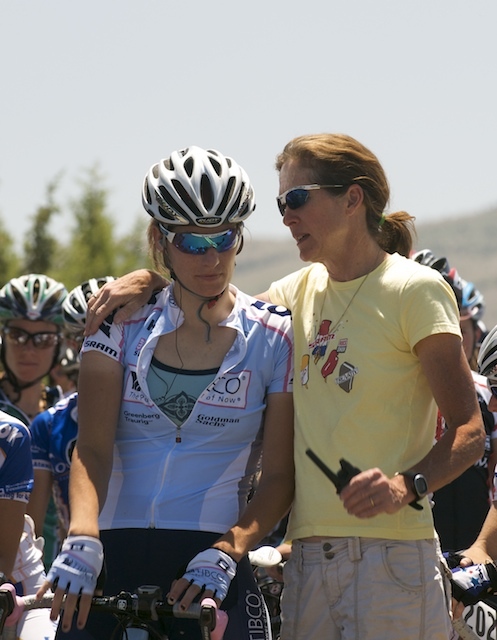 She retired from professional racing in 2000, and four years later founded the 4iiii-sponsored team TIBCO-Silicon Valley Bank. It is the longest-running professional women’s cycling team in North America. We caught up with Jackson to ask her about her reflections on her cycling career, past and present. 4iiii: Tell us about your first ever bike race. How did it go? Jackson: It was the Morgan Hill Road Race here in California in the early 90’s. Friends had been telling me that I should start racing and I really didn’t want to race. My life in investment banking was competitive enough as it was, the last thing I felt I needed to do was to compete on the weekends as well. But, I got a license and went off to my first race. It was a pretty tough race, lots of rollers. I think I pulled for the whole race, dropped a lot of the field, and then went charging toward the finish line. Of course, someone was smart enough to sit on my wheel and come around me for the win. I was second. But, when I crossed that finish line, my life was never the same. Cycling was in my blood and then and there I started to think about how I could train to get better. 4iiii: What is it about the sport of cycling that inspires the kind of passion that drove your racing career and continues to inspire your involvement? Jackson: Well to start with, cycling is a beautiful sport The freedom I feel on a daily basis riding my bike grounds me and sets me up for the rest of my day. Being in nature, feeling the wind on your skin, who could not love it? But on a deeper basis, I found the sport late in life. I quit my investment banking career in ’93 to see if I could make it to the Olympics. I was giving up a lot to pursue my goal, so I always wanted to give it my very best. I was 100% dedicated to being the best that I could be and I trained really, really hard. It was very fulfilling to work so hard for something and to see results. The sport gave me a lot of skills that are critical for success in the “real world”. It gave me confidence, I developed a really gritty “never give up” attitude (ok, maybe I had that one before but it was so important in the sport), it taught me the importance of teamwork, it helped with my leadership skills, it dramatically improved my public speaking, etc. When I retired from the sport, I was never too far away from it. I really missed it. When I got involved in helping female cyclists in 2004 it was to give young women the same opportunity that I had to chase my Olympic dream. My experience taught me how much cycling could give young women that would be important for the rest of their lives. It isn’t just about winning or losing, it’s about what this sport gives these women that will last a lifetime. 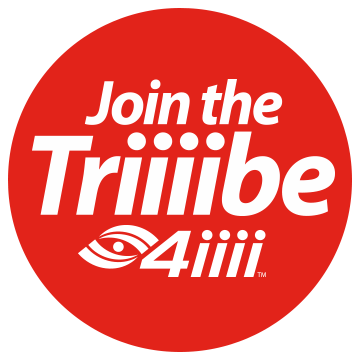 4iiii: What advice do you have for young cyclists (who may wish to one day race for your team, for example)? Jackson: Train hard. Train your weaknesses. It’s no fun to train your weaknesses. You want to go out there and do what you are good at. Get a good coach (with the appropriate degree and coaching background) who has in-depth knowledge of training with power meters. Follow your program. Listen to your body. 4iiii: Tell us about when you first started training with power, and about your relationship with your power meter now. Jackson: I first started using power in the 90s. I bought an SRM back when they were over $3,000. I put it on my bike but didn’t have a coach that trained me with power. I saw a bunch of numbers but didn’t really do anything with them. It really was a waste to not have fully utilized that information back then to reach my goals. Times have changed over the past two decades that’s for sure! Training with power is now widely recognized as being critical to reaching your potential as an athlete. All of our riders train with power now, and we definitely look at numbers when we are considering a rider for the team. Training with power, in combination with heart rate, gives you so much more information. For me personally, I have a 4iiii power meter on my bike now that has breathed new life into my training. It’s very motivating even though I am just a recreational rider, to see the watts I am putting out in certain workouts and strive to be better. 4iiii: Linda, thank you so much! From all of us here at 4iiii, we are very proud to see you get the recognition you deserve and to continue to support your very successful team.